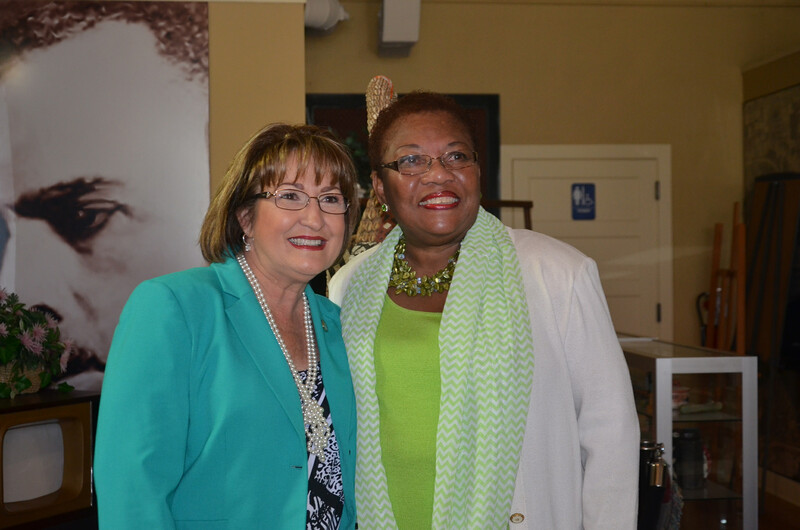 Orange County Mayor Teresa Jacobs recently joined Florida State District 12 Senator Geraldine F. Thompson and Orange County District 6 Commissioner Tiffany Moore Russell for a celebration to commemorate Juneteenth at the Wells’ Built Museum of African American History and Culture. Juneteenth is the oldest known celebration commemorating the end of slavery in the United States dating back to June 19, 1865. It was on that day that the Union soldiers landed at Galveston, Texas, with news that the war had ended and that the enslaved were now free. Dr. William Monroe Wells, Thurgood Marshall and Harry and Harriet Moore, just to name a few, are remembered as martyrs in the civil rights movement and their memory as trailblazers and legacies in our community will not be forgotten. In just a few weeks Orange County will also be celebrating the 50th Anniversary of the 1964 Civil Rights Act at the Orange County Regional History Center, a milestone legislation that greatly expanded civil rights protections, outlawed racial segregation and encouraged the desegregation in public schools. To RSVP for the event, visit Orange County’s website, http://www.ocfl.net/CivilRightsEvent/. A variety of photos from the breakfast are available for use by the media and are located on Flickr.